John O'Leary has lived through worse than most can imagine. At the age of nine, John was severely burned on 100% of his body. No one expected him to survive the first night. But he did. He then survived months in a hospital bed, dozens of surgeries, and years of therapy. Before his tenth birthday, John lost all of his fingers to amputation. ​As a boy in that hospital bed, John could not have foreseen the amazing things he would accomplish. But his journey proved more empowering and rewarding than he could have ever imagined. It gave him strength. It fueled and drove him on. It provided hope. It taught him compassion and understanding, and it gave him a solid foundation for living. Some call John a survivor, but he is so much more than that. John O'Leary is a beacon of hope, and he's ready to share his message with you. John now lives to share his story and to spark the stories of others living boldly, so that together we can forge an extraordinary future by finding the possibility in the present. You can't always choose the path you walk in life, but you can always choose the manner in which you walk it. If you are ready to overcome your challenges and celebrate the joy of today and the possibility of tomorrow, you have found the right place. John O'Leary is ready to guide you and your organization boldly into your inspired life. John works with hundreds of organizations and thousands of people to transform today's challenges into a foundation for incredible growth. His inspirational leadership has taught businesses key strategies to succeed in any environment. He empowers thousands of individuals around the world to lead fuller, more significant lives. Expected to die, John O'Leary now teaches others how to truly live. John was a curious nine-year-old boy. Playing with fire and gasoline, he created a massive explosion in his garage and was burned on 100% of his body. Given less than 1% chance of survival, John is proof of the power of the human spirit. His unlikely recovery meant a journey of pain and loss that could have easily been insurmountable. But his experience wasn't his alone. What makes John's life story and this keynote so engaging is the intimate involvement of many others. From a dedicated Hall of Fame sports announcer to a visionary burn nurse (and countless others), every individual involved in this 1987 fire and its aftermath teaches us this truth - one person can make a profound difference in the lives of others. John uses his fire story as a backdrop to inspire you to see the abundant possibility within your professional and personal challenges. With emotional storytelling and unexpected humor, John reminds audiences of the significance of daily attitudes, the power of personal choices, and the profound impact of actions. He reawakens each audience member to realize the gift of today and the possibility of tomorrow. Why do some people attract success and joy, but others languish through failure and struggle? How are some companies surpassing sales goals, but others are unable to meet minimum expectations? Why are some teams able to embrace change and thrive in spite of it, but others fight against it and suffer because of it? 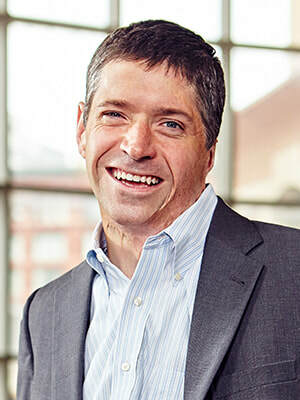 As a heavily-sought after speaker across multiple industries, John O'Leary masterfully teaches organizations why some fail and others succeed. Most importantly, he outlines specific techniques so individuals can utilize their current inflection points (every day moments which impact everything that comes after them) and transform challenges. Whether your organization is striving to improve team engagement, employee accountability or change management: John has a solution for you. John is a man who defied death. At nine years of age, John was burned on 100% of his body in a house fire. After five months in the hospital, dozens of surgeries and years in therapy, John survived. Far from being an example of someone who simply endured something horrific, John is a luminous example on thriving through adversity. He now teaches others how live intentionally, lead effectively and impact profoundly. His authentic message empowers audiences to shift their perspective, quit making excuses and start living a radically inspired life. This keynote is based on John's book, On Fire: The 7 Choices to Ignite Your Radically Inspired Life (Simon & Schuster). Experience this keynote and understand why John receives roaring standing ovations and stacks of heartfelt thank you letters. Every time. The power of John O'Leary's message has a universal application and can be uniquely personalized for your organization. John regularly partners with leaders to customize presentations to complement their annual conferences, meetings and events. John successfully highlights the organization's mission, values, or specific meeting objectives and uses his experiences (professionally, personally, and from his global travels) as a backdrop to offer action steps and applicable take-aways. Because of this, John is a heavily sought-after keynote speaker in healthcare, sales, executive leadership, safety, and education. Effective Teamwork. Improving Engagement. Furthering Accountability. Increasing Vision. Deepening Purpose. Discovering Balance. Stretching through Change. These are a few of the topics John has tailored his message to for other organizations. We live in a period of darkness. Global tensions, political unrest, economic crisis, fragmented communities, and intensifying violence. These issues impact all of us. In our personal lives, we each battle challenges in our families, relationships, health, and finances. Be the Light reminds us that light pushes back darkness, love destroys evil, The Author of Life still reigns, and the best is yet to come. This program inspires audiences to shine possibility, hope and faith into a community starved for it. You and your community will be reminded that God still works miracles, He orchestrates amazing interactions through individuals here on earth, and He has called you to Be the Light! Prepare to let your light shine!